Today is the day. Max Büsser (friend of the show) introducing his Horological Machine Numero 4, the Thunderbolt. 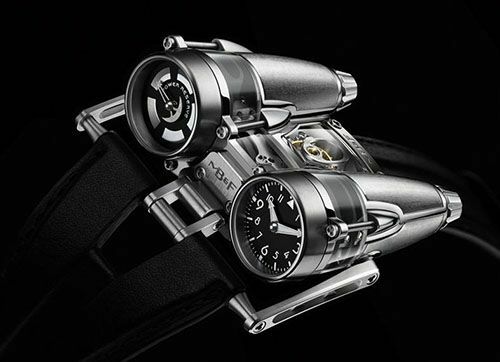 My guess is that this will be the most bizarre time piece you have ever seen. Even if you can’t imagine yourself wearing a watch like this if you had the resources for it, you’ll have to admit that it is very tempting just wanting to know how it would feel on your wrist. 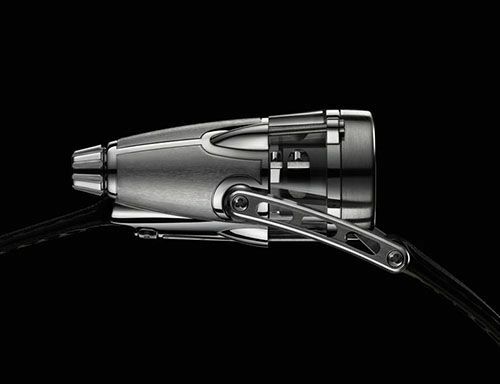 MB&F has been working on the 311 part engine for three years. The engine has been revealed in an earlier stage (right before BaselWorld 2010), but the matching case has been kept as a secret till now. It is probably the most complex watch case ever made. As Maximilian Büsser explains in his press release, it has been the greatest challenge he and his partner Serge Kriknoff encountered in their 20 years of experience in horology. 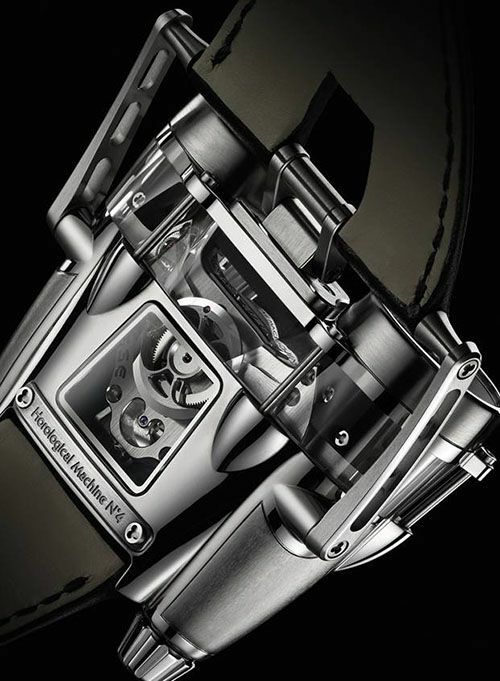 The titanium case back needed over 60 hours of machining and finishing and the central sapphire case part took even over 150 hours of machinery and polishing. The Thunderbolt is a result of a life-time fascination that Max Büsser has for the world of aeronautics. As a young kid, he had a big passion for modelling air planes, modifying them, painting them, and so on. This Horological Machine No.4 has its roots in this very early passion of Max and is a mixture of haute horlogerie and aeronautics. Obviously. Max wearing his ultra high end master piece! 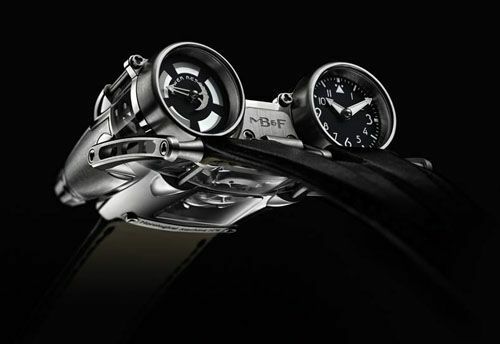 Make sure to follow MB&F on Facebook. Click here.